The Closing Ceremony celebrates the achievements of athletes at the London 2012 Olympic Games, and includes a Handover from one Host City to the next. In 2012, London will hand over to Rio de Janeiro for the 2016 Olympic Games. The Closing Ceremony also features the extinguishing of the Olympic Flame, signalling the end of the Games. 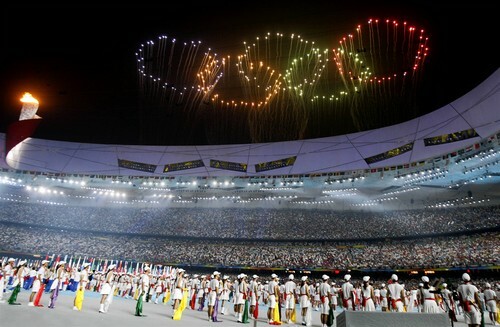 The Closing Ceremony of the London 2012 Olympic Games is on Sunday, August 12, 2012, at 4:00pm ET. Thank you London, Thank you athletes and thank you organizers for the wonderful few weeks of sports and sportsmanship. 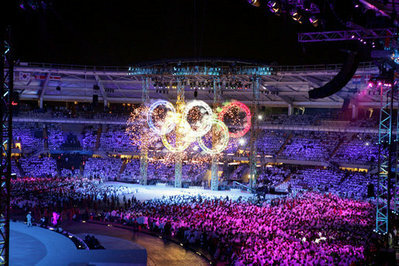 London ~ Olympics 2012 ~ Opening Ceremony is scheduled for to begin at 9 p.m. London time on Friday July 27 2012. We wish All The Best to the world class Olympians, star athletes and the never tiring organizers. We wish success for the event and hope to see new records ~ Faster, Higher, Stronger. The most important thing in the Olympic Games is not to win but to take part, just as the most important thing in life is not the triumph but the struggle. Best of Luck!!!! Let the Biggest Show Begin !!!! “Never put an age limit on your dreams”~ Dara Grace Torres is an American international swimmer and a twelve-time Olympic medalist.